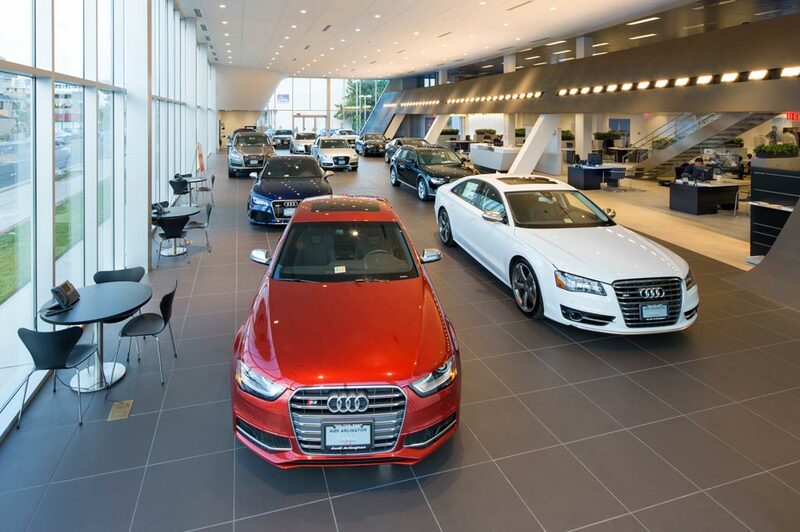 Audi Brookline in Brookline, MA treats the needs of each individual customer with paramount concern. We know that you have high expectations, and as a car dealer we enjoy the challenge of meeting and exceeding those standards each and every time. Allow us to demonstrate our commitment to excellence! Our experienced sales staff is eager to share its knowledge and enthusiasm with you. We encourage you to browse our online inventory, schedule a test drive and investigate financing options. You can also request more information about a vehicle using our online form or by calling (855)-889-0839. Congratulations! You've just discovered the company that will provide you with the definitive Audi shopping experience and the level of care you deserve. At our Audi dealership in Brookline, MA, we place great emphasis on the quality of the automotive experience, and we do all that we can to earn your business not just today, but for life! Audi Brookline is a Herb Chambers Company, and so you can safely expect to be treated with respect and granted access to a huge inventory of fabulous vehicles. Whether you're eyeing sedans like the new Audi A4 and Audi A3 or you'd prefer a spacious Audi Q5 SUV, we have the model for you, and we look forward to introducing you to it. We also have a generous selection of used and Certified Pre-Owned Audi models as well, so you can reap all the benefits of the luxury-car-owner lifestyle at an enticing price point. At the same time, we have a team of expert Audi finance professionals on staff who will be happy to set you up with the financing or leasing arrangement you desire. Not only do we sell deluxe sedans, coupes, wagons and SUVs, but we also restore them within our fully equipped Audi service center. Come to Audi Brookline whenever you notice something off about your vehicle or when you hit the service intervals recommended by Audi. Our team of certified Audi experts will take care of minor tune-ups and major service alike with ease, and you will soon have the keys to your prized vehicle back in your hand. If you seek quality OEM Audi parts and accessories to spice up your car, we can assist you in that area as well. Visit Audi Brookline today at 308 Boylston Street, Route 9, in Brookline, MA. We are just a short drive away for residents of Cambridge, Brighton, Somerville and downtown Boston.